Teri Ang has been involved with theatre since she was a little girl. After a stint as Piglet in Winnie the Pooh at her local recreation center, she found San Diego Junior Theatre. Having received her early training at Junior Theatre, she is proud to call herself a JT Alumni. Teri continued her theatrical endeavors at SDSU. For over 30 years Teri has been a Theatre Educator. She was fortunate to land a dream job with the San Diego Unified School District’s only elementary performing arts magnet school, and taught theatre there for over 26 years. Teri currently works as a theatre teacher at Horace Mann Middle school. 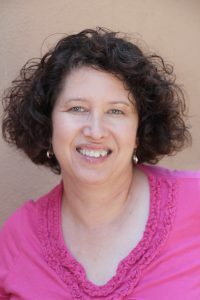 She is also on the board of the San Diego Theatre Educators Alliance and Mira Mesa Theatre Guild. Her involvement in San Diego’s local theatre community keeps her busy. Yet happily, Teri cannot seem to get away from Junior Theatre. She has been a teaching artist, board member, JT mom and a show director. Her past shows at JT include Charlotte’s Web, Dr Seuss’ Cat in the Hat, Tales of a 4th Grade Nothing, and How to Eat Fried Worms. Sleepy Hollow, A Musical Tale - a new telling of the Washington Irving classic. San Diego Junior Theatre's 2017 production of Lyle the Crocodile. Meet second-graders Ivy and Bean, as they plot their exploits onstage in this lively musical. Fern Arable joins the well-known clan of farm animals in a classic story about friendship. The Cat in the Hat is the funniest, most mischievous cat they've ever met. With the trickiest of tricks and craziest of ideas, he is certainly fun to play with, and he turns a rainy afternoon into an amazing adventure.